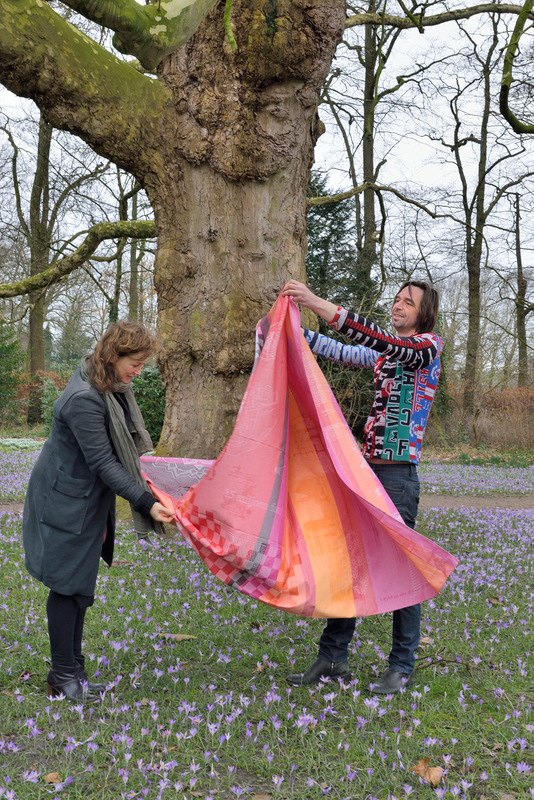 Niels van Eijk and Miriam van der Lubbe founded their studio, Van Eijk & Van der Lubbe, between 1998-2000. They live and work in Geldrop. What is your partner’s best quality? Miriam: Niels is a very good listener. In many meetings, he can literally resolve issues just by listening. Niels: Miriam is more of a communicator. She likes to meet people, lighten up the discussion and ask questions that nobody dares to ask. And what is your weak point? Miriam: Impatience. If things don’t happen soon enough or there is too much talk, I can get quite impatient. Miriam: Honest answer? The girls need to go to school! (Laughs) But yes, we love our work, and we still see so many possibilities for companies to develop in a way that benefits the human aspect – experience for the user, employee, visitor etc. In fact, it is so old-fashioned to see design as being reflected only in the object or space – design is a tool to accomplish so much more. Miriam: I’m an active member of Amnesty International and I’d definitely like to be more involved. It’s so important in our lives that one can live, speak and act freely. It’s pure luck to be born in the Netherlands, a place where you are allowed to dream and live in freedom. Every time I receive a ‘good news’ message, it reminds me of the huge potential we have just by the simple act of writing a letter, and it makes me believe so much more is possible – but only when we act together. If you could meet the newly graduated version of yourself now, what would you tell yourself? Miriam: Looking back, that was in a way the best time – I would say, ‘Go for it!’ Although you’re inclined to help the younger self with all the experience you have now, it is an advantage NOT to know things. Niels: We’ve already done so many projects that it’s harder to be as totally open-minded as you were after graduating. But I remember well at that time it was hard to get things going. Miriam: If I could add one thing, it would be to trust and believe in it that it will work out.